15 years ago this past weekend our country changed forever. Most people remember where they were the morning that terrorists flew planes into the World Trade Center, the Pentagon and failed attempt that went down in Pennsylvania. Financially, this event had a major impact on our markets with devastating effects for large and small investors. This event has changed the way we travel, the way we invest, the way we look at the world. Now that this devastating act of terrorism is 15 years old, I wanted to take a moment to look at the financial impact on the markets for perspective. The resilience of our country was displayed immediately after the attacks when the markets reopened on September 17th, 2001. Just six days after the attacks, workers who worked around the clock, many while grieving the loss of friends, family and associates, helped our stock market reopen as a valiant symbol of our country’s resilience in the face of such a terrible tragedy. Tuesday, September 11th the markets did not open as the first plane hit the North Tower at 846am, and it was apparent that the United States was under attack. Looking at the S&P Index, which tracks the 500 largest US Companies, we saw a close of 1092.54 on September 10, 2001 and a close of 1038.77 the first day of September 17th, 2001 for a drop of nearly 5% in one day. Over the first year, the lowest the S&P closing value went was to a close on July 23, 2002 of 797.70. This chart shows the index the from September 10, 2001 to September 11, 2002. You can see the bottom. That bottom represents a loss of 17.4%. What Happened In Past 15 Years? We now look at the memory of 9-11 as possibly the most significant event for the country during many of our lives. The financial markets since the attacks have risen from a low that first year of 797.70 for the S&P to a the close on Friday despite a sharp decline of 2127.81. From the bottom that first year to today the S&P 500 has had growth of 166.74% of a compounded return of 7.19% over those 14 years and one month. The interesting thing is that I run across many people who think the stock market never really came back all the way after September 11th. I would say argue that it has. more confident in your finances as a whole. What Can We Learn From A Financial Perspective? With the loss of human lives and the scar our nation bears from these attacks, there is so much more important than the financial impact. It is important to look at the financial impact as I hear regularly from families who still look at that event as a financial game changer for them. Whether they closed out their accounts and got out of the investment markets in their retirement due to fear and never recovered or if it delayed their retirement, there are a number of lessons we can learn. The first is that our financial markets are much like our wonderful country. They are resilient through tragedy. While it is not easy to see as it can be a rocky road, the markets have always rebuilt. 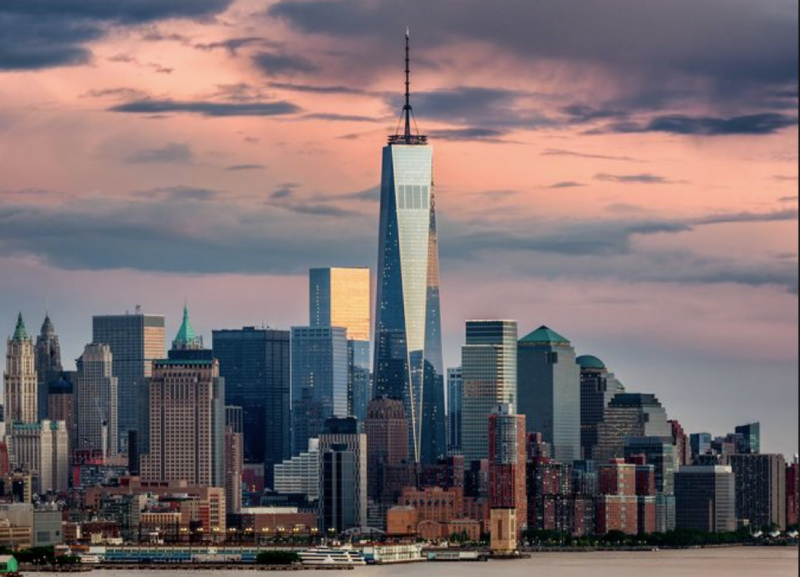 Just as One World Trade is now the tallest building in the Western Hemisphere, the market too has rebounded to a much higher number. We are Americans, we always come back, right? As far as I am concerned, I will continue to believe in the awe inspiring ability of our country to recover in the face of disaster, war, terrorist attacks or other turmoil.